When you need to immediate assistance in the midst of a blizzard, you can count on the snowstorm Charlotte pros with 911 Restoration Charlotte. Snowstorms come with below freezing temperatures, intense winds and heavy rainfall, so it’s highly possible to have damages that you may not be able to see. Let our team help keep you and your family dry and safe from the hazards of water and moisture and call the snowstorm Charlotte pros with 911 Restoration Charlotte. Our snowstorm Charlotte pros want to make sure you are protected from the hazards a blizzard and water damage can cause, this is why we encouraging calling as soon as you notice damage. Once we arrive on scene we immediately conduct a free visual inspection and determine the repair timeline. Our goal is to implement the cleanup procedures as soon as possible. 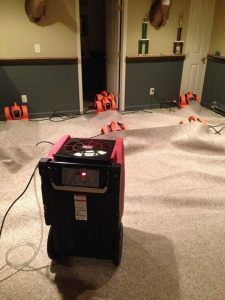 Where there is water damage, there is also the possibility of mold growth. It takes water no more than 48 hours to start spreading mold spores. 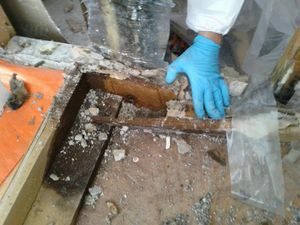 Mold removal is the last thing you want to deal with. The minute you notice a water damage, stains on your ceiling, or suspect you might need mold removal, call the snowstorm pros with 911 Restoration Charlotte. While our snowstorm Charlotte technicians work hard onsite to implement repairs, our administrative team aims to provide you with peace of mind. From scheduling your same day service appointment, to walking you through the repair timeline, we will even help you file you insurance claim. We understand how overwhelming repairs can be, then when you also have to deal with below freezing conditions, the situation can be even more crushing, but we are here to alleviate the stress and concerns that come within these situations.